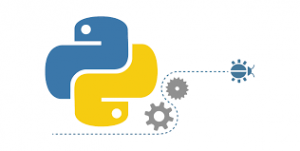 Python programming language is an amazing course that can be used to accomplish so many task. It can be used for web design, data science, data analysis, artificial intelligence, desktop application, game programming, ethical hacking and a lot more. For beginners with little or no prior knowledge of programming. 2 summary tests, and 1 final test. Accessed online with no special equipment or system requirements. • lists in advanced applications. · writing four simple programs. · working with real files.